The Immunization Action Coalition (IAC) urges hospitals and birthing centers to meet the national standard of care by providing a universal birth dose of hepatitis B vaccine in order to provide infants with protection against the disease from a variety of types of exposures. 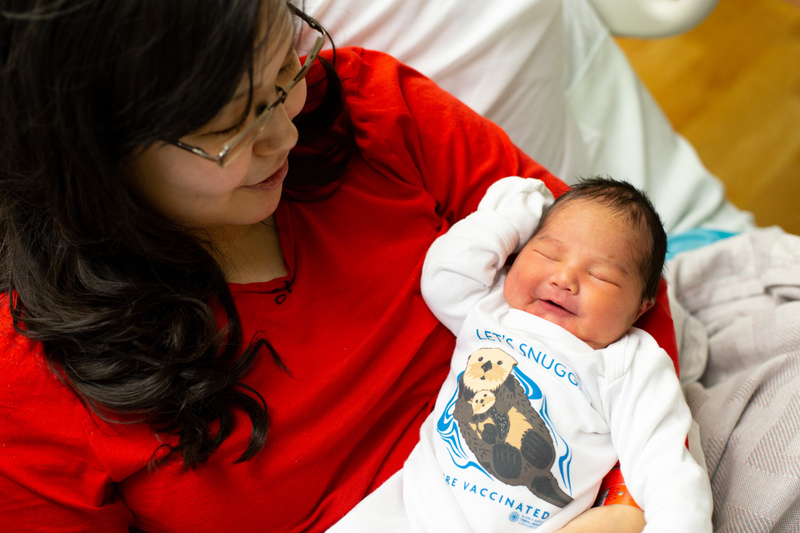 In 2018, newborns were administered the hepatitis B vaccine before leaving the Alaska Native Medical Center (ANMC) hospital at an average rate of more than 90 percent, protecting them from chronic hepatitis B infection and liver disease. Due to its exemplary dedication to infant health, Alaska Native Tribal Health Consortium (ANTHC), through its largest division, ANMC, was awarded “Honor Roll” status from the IAC for the second year in a row. This award recognizes our patients’ awareness of the importance of immunization and the dedication of patient medical health teams in providing world-class, evidence-based care. The team of providers in ANMC’s OB/GYN department work hard to educate families and their staff about the importance of protecting our newborn children against these diseases. Because of their dedication, we are able to ensure more than 90 percent of newborns are immunized with the HepB vaccination before discharge from our hospital. According to the Immunization Action Coalition website, there are only 427 birthing institutions on the Hepatitis B Birth Dose Honor Roll, and only ANMC and Joint Base Elmendorf Richardson achieved this outstanding milestone in Alaska. We know that immunizations, beginning at birth, make a difference and support ANTHC’s vision that Alaska Native people are the healthiest people in the world. For more information, visit http://www.immunize.org/honor-roll/birthdose/honorees.asp#ak. To learn more about other preventative programs and health services offered by ANTHC, please visit anthc.org/what-we-do/wellness.